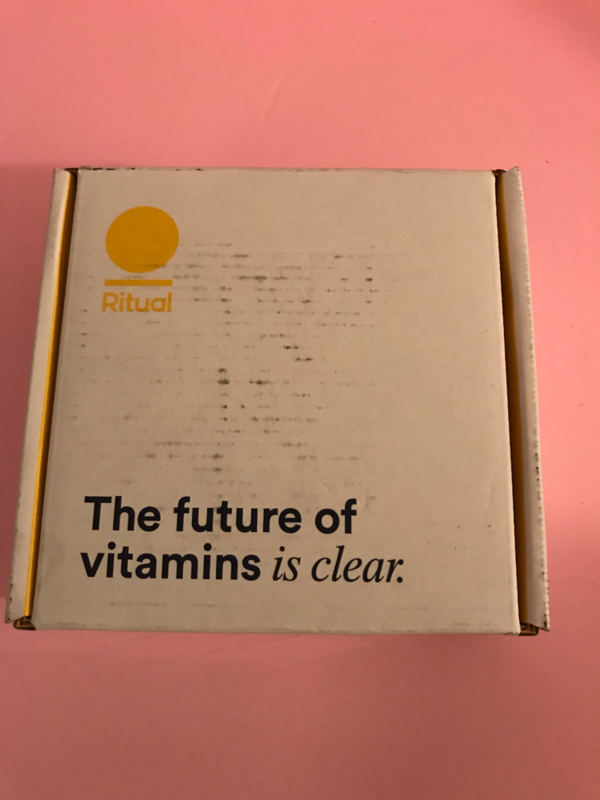 Ritual is a Women’s Multi-Vitamin Subscription Box. The cost is $30.00 a month for 60 capsules. 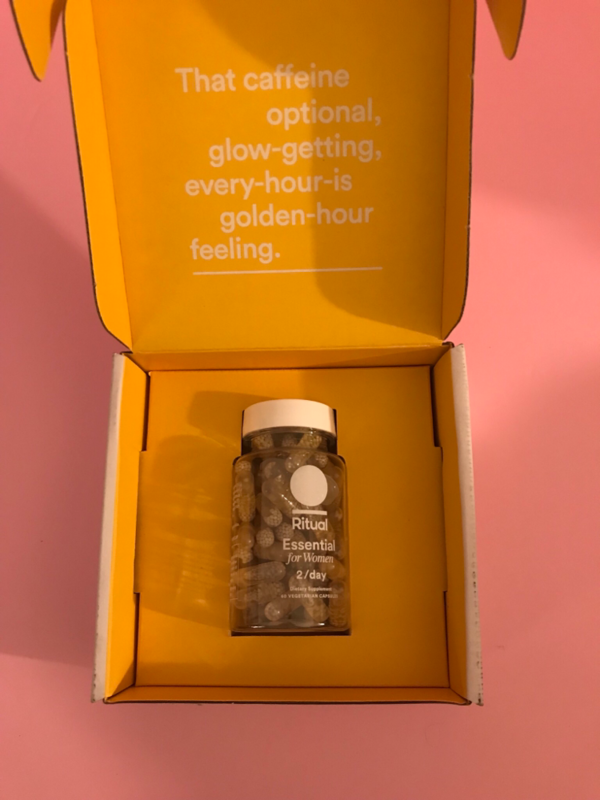 The packaging is very simple and has a clean feel to it. It’s nice not have to tear into unnecessary plastic, or anything of the sorts. 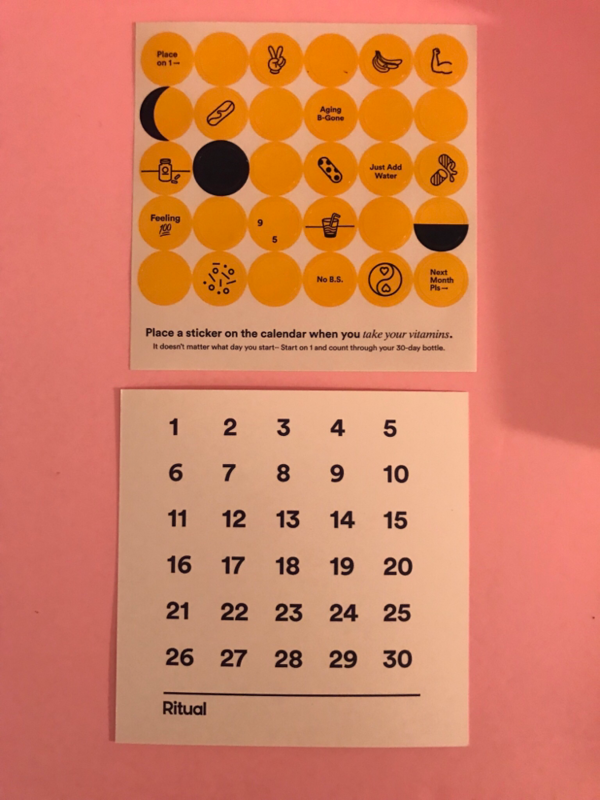 It comes with stickers and a calendar of the sorts to place a sticker on each day you take your vitamins. You always start at day 1, not the actual date that you start. This vitamin is one of my new favorites. I didn’t feel nauseous after taking them, like a lot of other vitamins. They also have a really refreshing minty taste to them. It’s not too strong, but definitely noticeable. This vitamin only has 9 ingredients. They are: Vitamin K12, Vitamin D3, Vitamin B12, Boron, Iron, Vitamin E, Magnesium, Folate, and Omega-3. I highly recommend these. 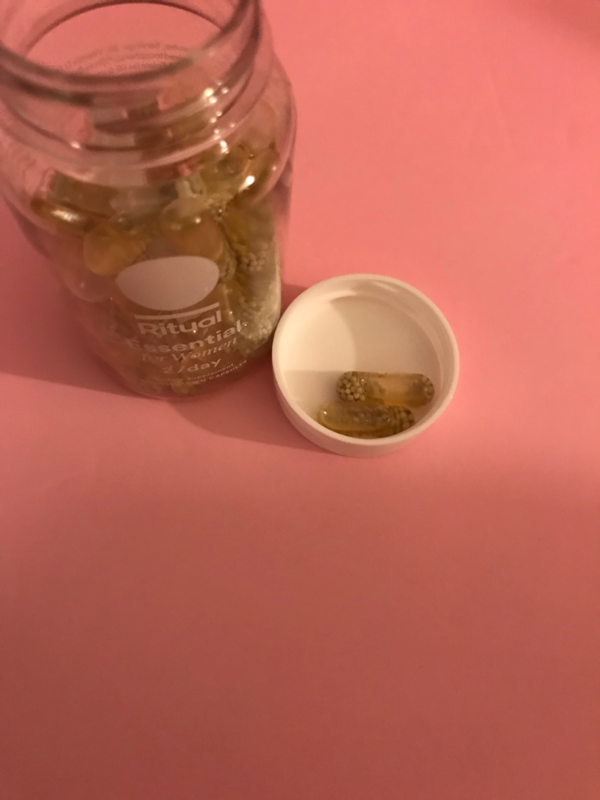 They are one of the best vitamins that I have found so far. What do you think of Ritual?